Hollywood has a storied history of biblical epics, and the American populace has welcomed them in their homes during all the major holidays, especially if they maintain those wholesome ideals the Bible so lovingly provides. Yet, when one opens that Bible, any version they hold dear, one might find violent, bizarre, and more contradictory prose than American film history has ever portrayed previously. Darren Aronofsky’s Noah interprets these ancient biblical texts in the same light that Greek and Roman epics have been approached in film—as a mythological tale not meant to be taken literally. Instead, the film is meant to create a more manageable sense of the world’s surroundings prior to the existence of the scientific method. The film examines the absurdity of following these tales word-for-word, as some scenes exhibit more of a Lords of the Rings quality than the righteous Ben-Hur. As a child, Noah witnesses his father’s death by the hands of Tubal-cain, a self-imposed leader whose legion has wreaked havoc on people and the earth. Years later, Noah (Russell Crowe) is a husband to Naameh (Jennifer Connelly) and a father to Shem (Douglas Booth), Ham (Logn Lerman), and Japeth (Leo McHugh Carroll), and they live a hermetic life living off the land. When a drop of rain causes a flower to grow instantly, Noah takes his family to visit his father, Methuselah (Anthony Hopkins), who provokes Noah to raise vivid images of the earth’s destruction by flood. Helped by Watchers, a group of golem-like rock creatures, Noah constructs an ark in hopes to save the innocent animals of the world, and begin anew. Devised as more of a series of vignettes, Noah unapologetically departs from the Old Testament in order to derive a universal meaning. 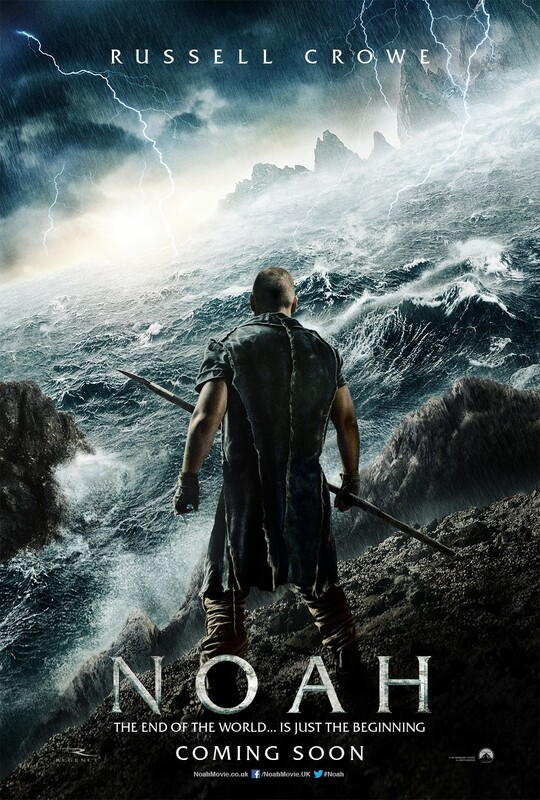 Favoring myth over accuracy, the film is incredibly stylistic, and creates a setting that is unusually bare and lifeless aside from Noah and his family. Not only is the film deliberately pressing for a drastic exploration of a canonical ecological narrative (one that can be traced back long before monotheism), Noah is also poking fun at the Anglo-Saxon biblical perspective with most of the characters carrying British or Australian accents. While Aronofsky usually avoids computer generated imagery, CGI was imperative to the film’s production. But the graphics and animation possess a more rugged style, looking more like they were conceived and implemented by Ray Harryhausen than a team of techies monkeying around at computers. Actual battles are quick, brief, logically shot, and do not linger, helping the film focus solely on its larger themes. Any Darren Aronofsky fan would instantly know that a biblical epic from the expressionist filmmaker would be heavily stylistic, violent, and visceral. The director has tackled religion and transcendence in cinema before with Pi and The Fountain, but here Aronofsky is specifically commenting on the current political and religious debate of climate change. Tubal-cain’s kingdom is bent on survival over sustainability as their lands have become fallow, with resources becoming increasingly scarce. It’s the same sentiment that oil tycoons shout to drill more and craft pipelines. Meanwhile, Noah preaches vegetarianism to his children and instructs them to keep a respectful relationship with nature, echoing “back-to-nature” and other green trends. Aronfosky also returns to some of his signature devices, including rapid-fire montages (usually described as a “hip-hop montage”, but hip-hop has yet to become vogue in Genesis), obscure dream sequences, and the use of circles, squares, and triangles to evoke infinity, humanity, and connection respectively. As with The Fountain, Noah has a particular penchant towards the symbol of the seed. In The Fountain, Hugh Jackman’s character Tom plants a seed, which becomes the Tree of Life, a symbol for the infinite quest of immortality for Tom and his wife. In Noah, this seed returns to grant Noah and the Watchers the resources to build the ark, returning the world back to its original purity. The seed is circular (spherical really), as are The Fountain and Noah. 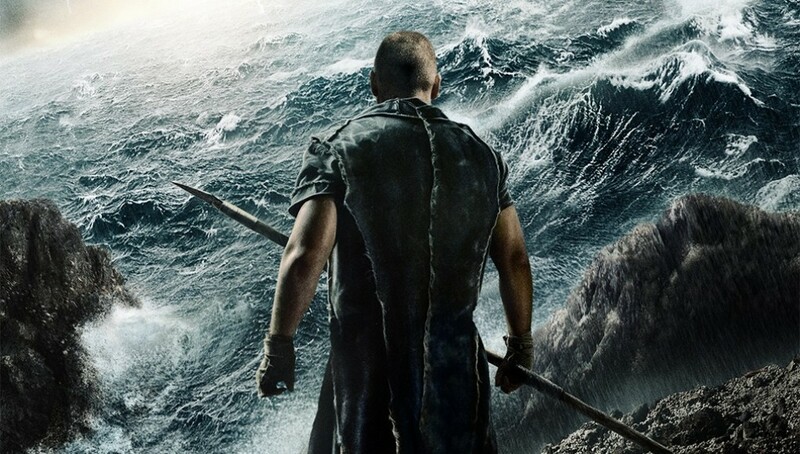 Noah will be listed alongside all the grand biblical epics, but will stand out amongst The Ten Commandments and The Kings of Kings, films that typical adhere to conventional telling of ancient texts. Like other biblical epics, it’s an expensive, lengthy film directed by a Jew. Unlike all the other films of this style that have become holiday staples for Christians, Noah will mostly likely not find itself broadcast on television, and not simply because of its violence, but because Noah is more on the level of Excalibur or Clash of the Titans. It’s a deeply philosophical film that preaches to a choir made up of cineastes and those who see their surroundings as sacred, and may be the most ecologically-centric epics since Avatar.